The Gigantic Locomotive Association has launched a public appeal for £5000 to build a replica Bassett-Lowke 15in Gauge Class 60 Pacific locomotive, which once ran on the Ravenglass & Eskdale Railway. The Class 60 was a development from the earlier Class 10, 20 and 30 Atlantics built by the company. 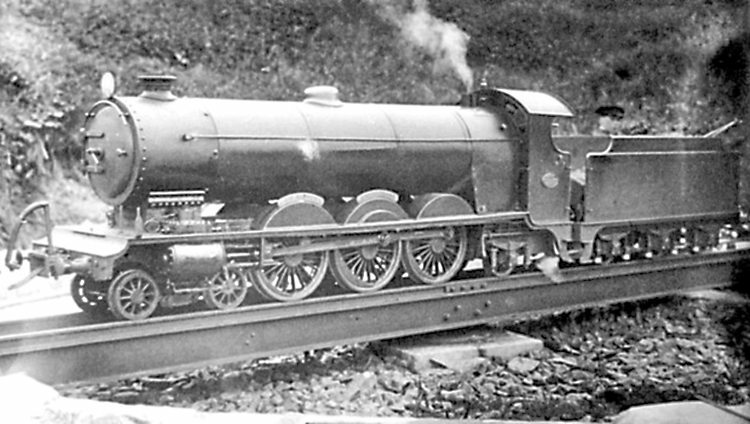 Bassett-Lowke built one Class 60, in 1914, and it was also the second Pacific built in Britain after Churchward’s unique GWR No. 111 The Great Bear. Bassett Lowke’s Class 60 Colossus was only the second Pacific built in Britain. A crowdfunding page has been set up to fund the replication of the 1914 locomotive, which was originally named John Anthony and later Colossus. It was ordered for a miniature line at Staughton Manor, a Grade II listed building at Great Staughton in Cambridgeshire, but never arrived there. Instead, it was bought by the RER for which it hauled trains between 1916-27. Sadly, it was dismantled with some components used in the construction of another locomotive, with those left over scrapped.